Welcome to The Sunday Salon! It's that day of the week we sit back and talk about one of our favorite subjects… BOOKS! Yes, and this week there's some great books I want to share with you from some of our favorite authors! Colorless Tsukuru Tazaki and His Years of Pilgrimage by Haruki Murakami... From Publisher's Weekly: Living a simple, quotidian life as a train station engineer, Tsukuru is compelled to reexamine his past after a girlfriend suggests he reconnect with a group of friends from high school. A tight-knit fivesome for years, the group suddenly alienated Tsukuru under mysterious circumstances when he was in college. For months after the break, not knowing what had gone wrong, he became obsessed with death and slowly lost his sense of self: “I’ve always seen myself as an empty person, lacking color and identity. Maybe that was my role in the group. To be empty.” Feeling his life will only progress if he can tie up those emotional loose ends, Tsukuru journeys through Japan and into Europe to meet with the members of the group and unravel what really happened 16 years before. 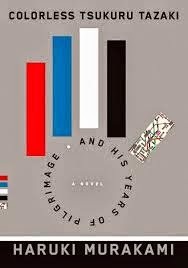 The result is a vintage Murakami struggle of coming to terms with buried emotions and missed opportunities, in which intentions and pent up desires can seemingly transcend time and space to bring both solace and desolation. 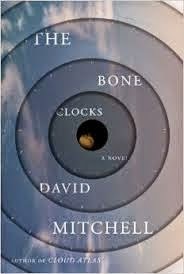 The Bone Clocks by David Mitchell… Following a scalding row with her mother, fifteen-year-old Holly Sykes slams the door on her old life. But Holly is no typical teenage runaway: A sensitive child once contacted by voices she knew only as “the radio people,” Holly is a lightning rod for psychic phenomena. Now, as she wanders deeper into the English countryside, visions and coincidences reorder her reality until they assume the aura of a nightmare brought to life. For Holly has caught the attention of a cabal of dangerous mystics—and their enemies. But her lost weekend is merely the prelude to a shocking disappearance that leaves her family irrevocably scarred. This unsolved mystery will echo through every decade of Holly’s life, affecting all the people Holly loves—even the ones who are not yet born. A Cambridge scholarship boy grooming himself for wealth and influence, a conflicted father who feels alive only while reporting on the war in Iraq, a middle-aged writer mourning his exile from the bestseller list—all have a part to play in this surreal, invisible war on the margins of our world. From the medieval Swiss Alps to the nineteenth-century Australian bush, from a hotel in Shanghai to a Manhattan townhouse in the near future, their stories come together in moments of everyday grace and extraordinary wonder. 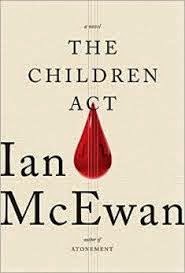 The Children Act by Ian McEwan… Fiona Maye is a High Court judge in London presiding over cases in family court. She is fiercely intelligent, well respected, and deeply immersed in the nuances of her particular field of law. Often the outcome of a case seems simple from the outside, the course of action to ensure a child's welfare obvious. But the law requires more rigor than mere pragmatism, and Fiona is expert in considering the sensitivities of culture and religion when handing down her verdicts. But Fiona's professional success belies domestic strife. Her husband, Jack, asks her to consider an open marriage and, after an argument, moves out of their house. His departure leaves her adrift, wondering whether it was not love she had lost so much as a modern form of respectability; whether it was not contempt and ostracism she really fears. She decides to throw herself into her work, especially a complex case involving a seventeen-year-old boy whose parents will not permit a lifesaving blood transfusion because it conflicts with their beliefs as Jehovah's Witnesses. But Jack doesn't leave her thoughts, and the pressure to resolve the case—as well as her crumbling marriage—tests Fiona in ways that will keep readers thoroughly enthralled until the last stunning page. Ian McEwan is such a wonderful storyteller and writer. His writing is not all about furiously turning the pages, but wrapping yourself around the words and characters. I read just a small sampling of this book courtesy of the publisher and want more! He has won the famed Booker Prize and other writing awards, so it's no wonder that lovers of great fiction should make a note of his latest offering here, coming Sept. 9, 2014. Definitely on my TBR list! About the Book, from the author's website… To Kill a Mockingbird by Harper Lee is one of the best loved novels of the twentieth century. But for the last fifty years, the novel’s celebrated author, Harper Lee, has said almost nothing on the record. Journalists have trekked to her hometown of Monroeville, Alabama, where Harper Lee, known to her friends as Nelle, has lived with her sister, Alice, for decades, trying and failing to get an interview with the author. But in 2001, the Lee sisters opened their door to Chicago Tribune journalist Marja Mills. It was the beginning of a long conversation—and a great friendship. Here's another wonderful example of a recluse author opening up for us all to enjoy. The reviews of this book point out that there is nothing earth shattering revealed here, but a wonderful testament to Southern hospitality and a wonderful way of life. 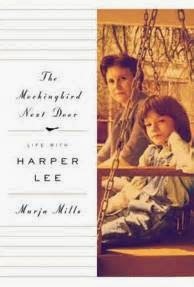 To Kill a Mockingbird is one of my favorite books, and I look forward to The Mockingbird Next Door! On my TBR list! Shadow of the Wind… Hidden in the heart of the old city of Barcelona is the 'cemetery of lost books', a labyrinthine library of obscure and forgotten titles that have long gone out of print. To this library, a man brings his 10-year-old son Daniel one cold morning in 1945. 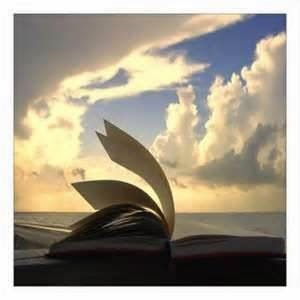 Daniel is allowed to choose one book from the shelves and pulls out LA SOMBRA DEL VIENTO by Julian Carax. 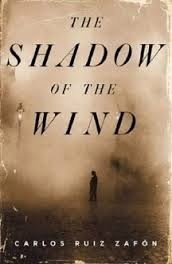 *The book that started it all, Shadow in the Wind, and my favorite. Complex, mysterious, with stories within stories, it is a wonderful read, and the writing is beautiful. 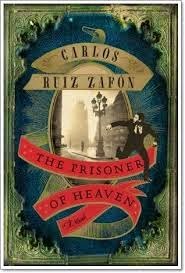 In an abandoned mansion at the heart of Barcelona, a young man, David MartÌn, makes his living by writing sensationalist novels under a pseudonym. The survivor of a troubled childhood, he has taken refuge in the world of books, and spends his nights spinning baroque tales about the city's underworld. But perhaps his dark imaginings are not as strange as they seem, for in a locked room deep within the house lie photographs and letters hinting at the mysterious death of the previous owner. 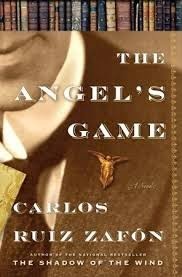 Set in the turbulent 1920s, THE ANGEL'S GAME takes us back to the gothic universe of the Cemetery of the Forgotten Books, the Sempere & Son bookshop, and the winding streets of Barcelona's old quarter, in a masterful tale about the magic of books and the darkest corners of the human soul. *Not my favorite book in the series. Sophomore curse? You know, how the second book is not up to the first for whatever reason, but a good read. The Prisoner of Heaven… Barcelona, 1957. It the is week before Christmas in the Sempere & Sons bookshop. Daniel Sempere has married the love of his life Bea and they have had a son whilst their partner in crime, Fermín, is busy preparing for his wedding to Bernarda in the New Year. Just when it seems as if luck is finally smiling on them, a mysterious figure with a pronounced limp enters the shop. He insists on buying the most expensive volume on display - a beautiful illustrated edition of The Count of Monte Cristo - and then proceeds to inscribe the book with the words 'To Fermín Romero de Torres, who came back from the dead and who holds the key to the future'. *Back to what I expect from the author's writing! And I can't wait for the next book! 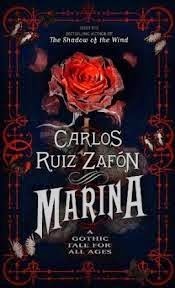 "By then I had already published three novels for young adults but soon after embarking on Marina I knew that this would be the last I'd write in the genre. As the writing advanced, everything in the story began to acquire a shade of farewell, and by the time I'd finished it, I sensed that something inside me, something that even today I cannot explain, but that I still miss every single day, was forever left among its pages." 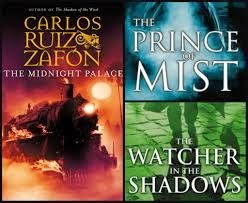 Intrigued by Carlos Ruiz Zafon? Have you read any of his books? If so, what did you think? Marina was published Dec. 2013 in the UK. It's not available here yet, but if you're as interested as I am, you can order it through The Book Depository (amazon's UK rival), where shipping is free worldwide and the prices are usually discounted a bit. The resolution for independence was approved on July 2, 1776, but the actual document, The Declaration of Independence, was signed July 4th and has remained the date we, in the USA, celebrate our independence from British rule. 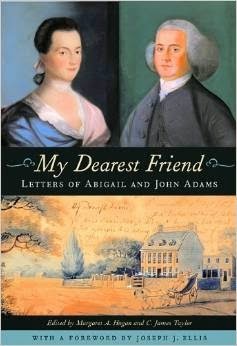 My Dear Friend: Letters of Abigail and John Adams... from Publishers Weekly: Hogan and Taylor, editors of the Adams Papers at the Massachusetts Historical Society, have given history buffs a treat—the most comprehensive edition of letters between two extremely lively writers, America's second president and his wife. This edition contains 289 letters covering a longer period of time than the two earlier editions of selected letters. Here are trenchant political exchanges, such as Abigail's famous plea to her husband and the Continental Congress to Remember the Ladies, and Adams's less famous, revealing reply: he noted that while it was well known that the Revolution had prompted children, slaves and apprentices to rebel, your Letter was the first Intimation that another Tribe more numerous and powerful than all the rest were grown discontented. Many of the letters are personal, from coquettish courtship epistles to Abigail's moving premonition that the baby she was carrying would be stillborn. The letters shine a light on such aspects of daily life as illness, Sunday sermons and cuisine. Ellis's gushing foreword explains the rarity of such intimate correspondence—Martha Washington, for instance, destroyed most of the letters she and George wrote. This book has gotten wonderful reviews based on the letters, but also on the way the letters are presented and put together by the editors. 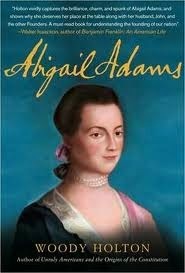 Abigail Adams by Woody Holton... from Publishers Weekly, While Abigail Adams has always been viewed as one of the most illustrious of America's founding mothers, University of Richmond historian Holton (Unruly Americans and the Origins of the Constitution), drawing on the rich collection of Adams's letters and other manuscripts, paints a strong-minded woman whose boldness developed in the context of the revolutionary era in which she lived. Holton offers a captivating portrait of a reformer both inside and outside the home. Best known for exhorting her husband, John Adams, to remember the ladies in devising America's new political system, she also, Holton has discovered, wrote a will leaving most of her property to her granddaughters, in defiance of the law that made her husband the master of all she owned. Furthermore, she was a businesswoman and invested her own earnings in ways John did not always approve of. Tracing Adams's life from her childhood as the daughter of a poor parson to her long and sometimes uncertain courtship with John, her joys and sorrows as a mother and her life as the wife of a president, Holton's superb biography shows us a three-dimensional Adams as a forward-thinking woman with a mind of her own. An independent woman in her own rite, this book has gotten great reviews as well. Well written and not dry, put this on your TBR list! Enjoy the fireworks & sparklers, picnics & potato salad, but don't forget about some great reading about the day we celebrate as Independence Day! 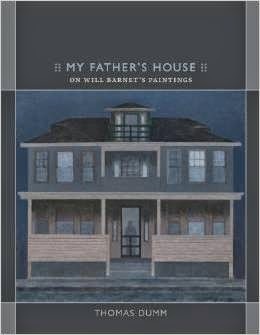 My Father's House by Thomas Dunn is a book written about a series of 9 paintings by the artist Will Barnet. The series was called My Father's House, and the paintings are just that - paintings representing some aspect of his Father's House, where his aging Sister Eva still lived. In another lifetime, I was an art student who loved Will Barnet. I actually met him at a small gallery show back in the late 70's. His paintings are simple, elegant and some may characterize them as stark. They are stylized without a brushstroke out of place, like some japanese paintings and I loved them for his cats. One of his favorite subjects was the family black cat and he painted a lot of paintings with that cat. In 2009, Will Barnett was donating one of the painting in the My Father's House series to Amherst College, and the curator of American art at the Mead Museum (the museum associated with Amherst College) called Thomas Dumm in hopes that he would come to the presentation and speak. Dumm is a professor at Amherst and had written about Loneliness and people. The curator thought it would be a good match, based on the fact that most of Barnet's paintings conveyed a kind of loneliness. What happened was that Dumm and Barnet became fast friends because Dumm could relate to Barnet's paintings and understood some of the deeper meaning that Barnet conveyed in his paintings. 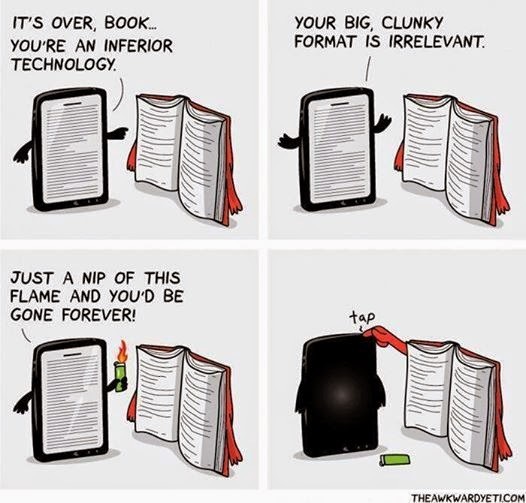 This book is a result of that relationship. What I didn't love was the long, I want to stop reading because I am falling asleep and I "got" what you were trying to say already 20 pages ago, introduction. Yes, this is suppose to be scholarly and Thomas Dumm introduces us to the concepts of Emerson, Spinoza, Cavell and Nietzsche, to name a few, that influenced Barnett's work, but I thought it could have been more concise and it was not necessary to take up 30% of the book. Is an introduction suppose to be as long as the book?! I did enjoyed the preface, which told the story of Dumm and Barnet's meeting, and a brief smattering of Barnett's life and influences. Maybe if this could have been expanded just a bit it without the intro it would have worked for me. I would recommend this book to art students because the interpretations of the paintings were thought provoking and enjoyable. If you're an Will Barnet fan, this would also be a nice book to pick up. "Regular" readers not into the arts may want to skip this one. My Father's House: On Will Barnet's Painting by Thomas Dumm will published by Duke University Press Sept. 2014. I received an eGalley of My Father's House by Thomas Dumm from Duke University Press for review. I want to thank Duke University Press Books for the opportunity to review this book.